I met R.C. Sproul during the first week of March 1982 in San Diego at the International Council on Biblical Inerrancy’s Congress on the Bible. I was introduced to him by my friend, Franky Schaeffer, and immediately I was struck by Dr. Sproul’s boundless energy, enthusiasm, and sense of humor. He was brilliant; that much was obvious—like so many of the other men who spoke at that conference: Francis Schaeffer, James Boice, John Frame, Jim Kennedy, John MacArthur, Roger Nicole, and Ed Clowney. 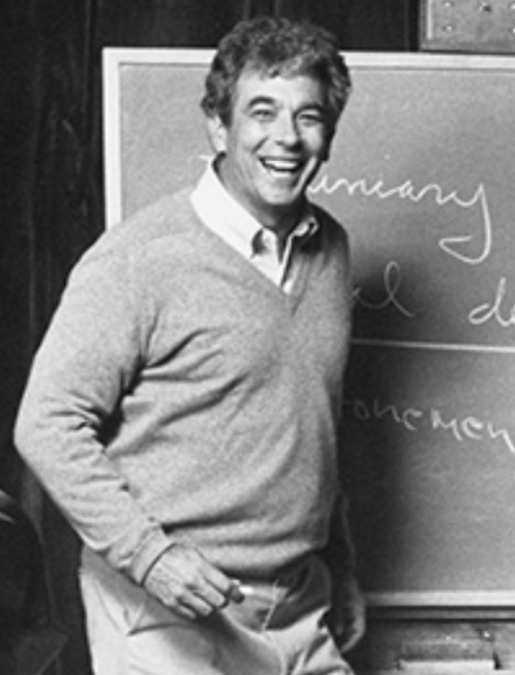 But Dr. Sproul's garrulous laughter, his rapier wit, and his attentiveness in conversation set him apart. His down-to-earth, unpretentious, and fervent character adorned his genius with peculiar grace. Over the 35 years that I knew him, that first impression has only been reinforced a hundredfold. Without ever using notes, he could wax eloquent on everything from Greek morphology to Modernist philosophy, from art, music, literature, and architecture to ecclesiology, epistemology, and ontology, from the wonders of the Magisterial Reformers to the feats of the Pittsburgh Steelers. And yet, he always somehow managed to communicate even the most complex ideas with utmost clarity and simplicity. He was, by any measure, a marvel. Over the years, I read his books, listened to his lectures, subscribed to his podcasts, attended his conferences, poured over every page of his Table Talk magazine, and studied his gripping oratorical methodology. I was greatly privileged to speak on the same platform with him, write for his publications, come to know his family, and enjoy his hospitality. He was a beloved and kind mentor. He was and is my hero. That much and more can be, indeed must be, said of R.C. Sproul. 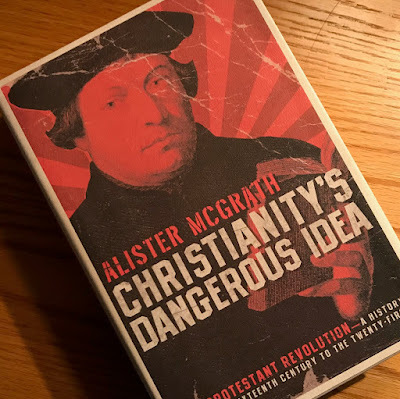 Christianity's Dangerous Idea: The Protestant Revolution; A History from the Sixteenth Century to the Twenty-First, by Alister McGrath, has been one of my favorite (and most frequently revisited) books during this quincentennial of Protestantism’s great Gospel reclamation. It is a remarkable retelling of a sprawling tale across all the years and all the miles, including fascinating profiles of a wildly varied cast of characters: from Luther and Calvin to Bach and Milton. Highly recommended. 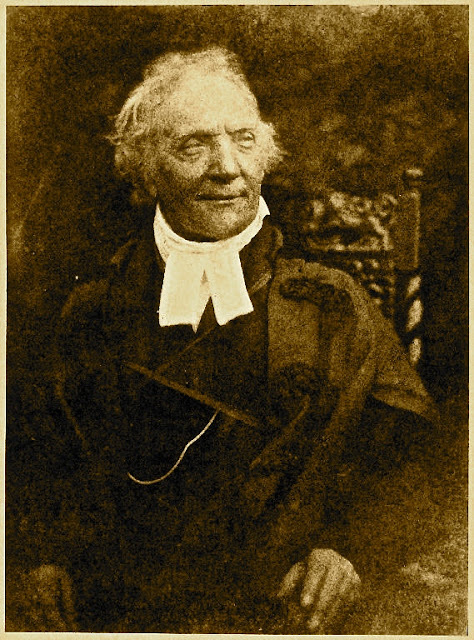 Thomas Chalmers (1780-1847), the great Scottish pastor, professor, author, and statesman, was undeniably a man of action. He was the quintessential reformer: he founded more than two dozen mission organizations, Bible societies, neighborhood schools, and community outreaches. He planted two churches, one college, and even a denomination. He established publishing houses including the world’s largest Bible publisher (today’s HarperCollins). He was a friend of Wilberforce and Pitt. 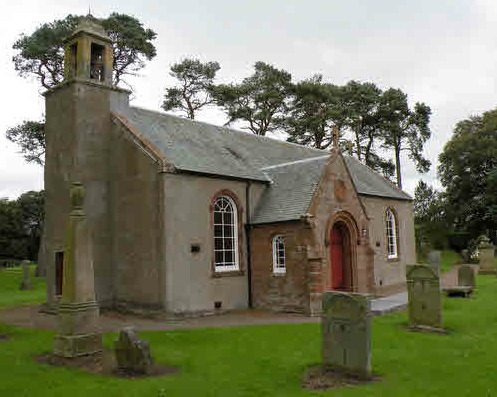 He was the pastor of Scott, McAdam, and Stevenson. But, at the heart of all that he undertook for the Kingdom was prayer. His byword for all his activity was, "I would pray unto watching--and watch unto praying." His busy schedule and demanding commitments never deterred him from what he believed was his “most important exercise” and his “most vital engagement,” his daily time of prayer. Indeed, he considered any prayerless day, a wasted day: “To squander the hours with mere activity, however important, is to altogether miss the enlivening work of the Spirit amidst our sweet hours of prayer.” Indeed, he said, "I have long resolved never to start anything that I cannot then saturate in prayer. 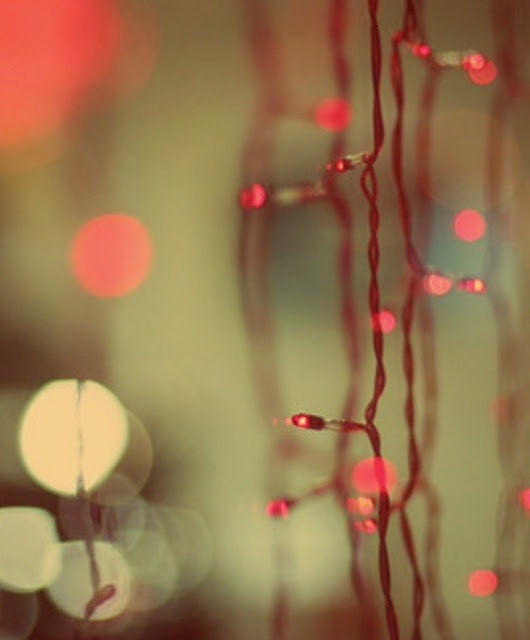 If my busyness results in prayerlessness then all my activity is for naught." Chalmers began each day praying through the Scriptures. 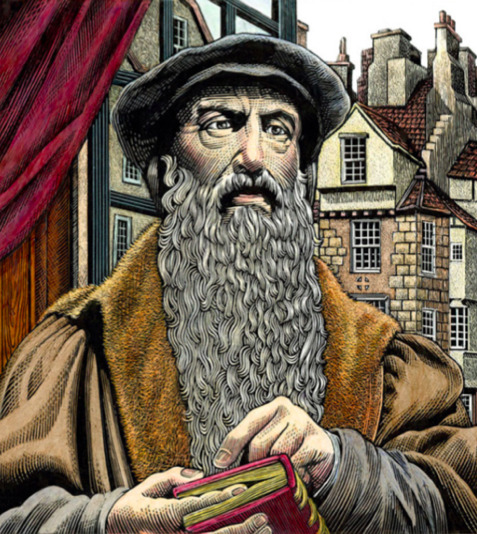 He followed the old Scots Presbyterian discipline of "Horae Biblicae Quotidianae," something akin to "Lectio Divina." After his devotional reading, he would walk, praying through the passage as he went. Then, he would record his digested "passage prayer" in his journal, or "Florilegium." In the process, he would identify the “Keystone Verse” from the passage which would then shape his thinking, praying, and doing for the rest of the day. When Chalmers would disciple men, such as those students, Robert Murray M’Cheyne, John Urquhart, Andrew Bonar, Robert Nesbit, William Mackay, and Robert Chalmers Burns, he taught them this method of prayer. Each of these men, who would in turn gain great renown as men of unction and holiness, testified that it was this posture of deep prayerfulness that quickened their own ministries—all of which so profoundly shaped the great spiritual renewal of the Victorian Age. The Christian king of Wessex, Alfred the Great, defeated the pagan Viking warlord Guthrum at the Battle of Ethandun on this day in 878. The battle not only ensured that Christianity would survive in England, it made the unification of that land possible for the first time since the departure of Roman legions in the fifth century. 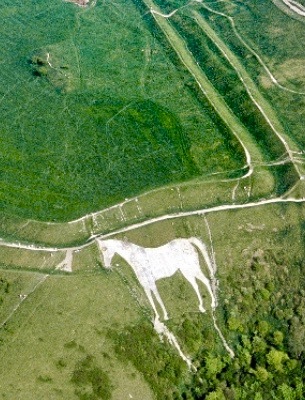 The battle was brilliantly commemorated by G.K. Chesterton in “The Ballad of the White Horse,” published in 1911, considered by many as perhaps the last of the great traditional epic poems written in the English language. The ship of prayer may sail through all temptations, doubts and fears, straight up to the throne of God; and though she may be outward bound with only griefs, and groans, and sighs, she shall return freighted with a wealth of blessings! I first began to seriously read and study the life and work of Thomas Chalmers a quarter of a century ago. When I was in graduate school I became aware of his reforming work in 19th century Scotland. I read a few of his best-known sermons during seminary. But, it was not until a “chance discovery” of a Chalmers book in one of my favorite West Coast antiquarian bookshops that I dug in for deep reading. "The Spirit guides us unto all truth and all truth is to be found in the Bible--the Spirit therefore guides us unto the Bible." "The wider a man's knowledge becomes, the deeper should be his humility; for the more he knows the more he sees of what remains unknown. The wider the diameter of light, the larger the circumference of darkness. And so, with every footstep of growing knowledge there ought to be a growing humility--that is the best guarantee both for a sound philosophy and a sound faith." "Christ hath spoiled the great adversary of all his power. He hath left him no claim of ascendancy whatever over those who believe in Him." "While I retain entire dependence on Christ's righteousness and grace, let me, at the same time, have the comfort of knowing that my labor is not in vain in the Lord." This truth helps remind me that the work of ministry in Christ's church is far more than a necessary preparation for some future reward. Instead, it is a joyous walk together. It is a providentially rooted community. It is a “journey written in time.” O, what a manifold blessing! “Whoever sows sparingly will also reap sparingly, and whoever sows bountifully will also reap bountifully. So, each one must give as he has decided in his heart, not reluctantly or under compulsion, for God loves a cheerful giver. And God is able to make all grace abound to you, so that having all sufficiency in all things at all times, you may abound in every good work.” (9:6-8). Notice, he asserts there is a principle of reciprocity at work in our giving—and not only that, but God desires for us to give without reluctance or hesitation or regret. But then, he goes on to say that our generosity will not only enrich us in faith, hope, and joy (9:10-12), but will also produce grace and thanksgiving among men and praise and worship to God (9:13-14). By the 16th century virtually no one disagreed on the fact that the West needed to be reformed. What they disagreed on was what that reform should entail and how it was to be effected. In frustrated tension, dozens of competing factions, sects, schisms, rifts, rebellions, and divisions roiled just beneath the surface of the West’s tenuous tranquility for decades. Finally, on October 31, 1517, those pent-up passions burst out into the open when an Augustinian monk named Martin Luther posted his Ninety-Five Theses on the door of the Castle Church in Wittenberg. In a single stroke, not one, but two momentous renewal movements renewal movements were launched that at last were able to effect genuine reform within the church: the Protestant Reformation and the reaffirmation of covenantal principles to civil governance. This is the essential historical and cultural framework out of which the Magdeburg Confession of 1550 was written. Against the backdrop of the centralizing totalitarianism of the Hapsburg hegemony, the newly revived Holy Roman Empire, the people of the little German town of Magdeburg, situated between Berlin and Hanover, not far from Brandenburg, determined to recover their federal, their covenantal, their Biblical culture. Their confession of faith asserted that Biblical covenantalism was the principle by which men and nations might know the truth of the Gospel and thus afford hope for their souls, it was simultaneously the principle by which their cultural and political and social freedom might be won. 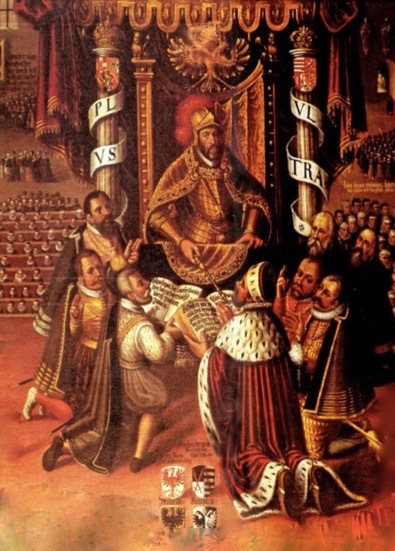 Officially titled, The Confession, Instruction, and Admonition of the Pastors and Preachers of the Christian Congregations of Magdeburg, the Confession was a more than just a statement of Protestant and Lutheran orthodoxy. Composed by the nine pastors of the city in 1550 in response to the Augsburg Interim and its legal threat imposing Roman Catholic dictates, the Confession articulates the doctrine of “the lesser magistrates” and offers a Christian defense of the ideas of principled resistance to tyranny, civil disobedience to ungodly decrees, and even the use of force when necessary. It was the first clear declaration of a Biblical posture of resistance against unjust higher authorities. Theodore Beza believed the Confession provided faithful believers with an example of how to respond to political abuse and tyranny—indeed, he used insights from the Confession in his influential notes for the Geneva Bible, the Bible used by most of the Puritans and Pilgrims for at least three generations afterward. So it was that the font of covenantal ideas in the Confession flowed out into the reforming nations of the West: they were echoed in Calvin and Beza’s Geneva; they helped shape Knox’s Scotland, they were influential in Bucer’s Strassburg; they laid the foundations of Cranmer’s England; and they became central to the vision of the Founders of America’s great experiment in liberty. But for the same reasons that the Magdeburg pioneers had to recover the old principles of covenantal federalism by means of reformation, we need to pay heed to these ideas today. Western Civilization is once again in very real jeopardy. Freedom is once again threatened. Life, liberty, and opportunity are once again coming under the shadow of vested centralized powers and principalities. By looking back at the essential notions upon which our freedoms were built we may yet be motivated and equipped to begin the process of reforming, restoring, and recovering. May it be so, Lord. We didn’t get TULIP, the Five Points of Calvinism, from Calvin. Oh sure, the doctrines can be found in his magisterial Institutes of Christian Religion. But the idea that the great doctrines of the Reformation could be reduced to five essential points, T-total depravity, U-unconditional election, L-limited atonement, I-irresistible grace, and P-perseverance of the saints, comes to us from the Canons of Dort (sort of). Actually, it is a bit of a complicated, convoluted story. In 1618 and 1619 a National Synod was held in the Dutch city of Dordrecht to sort out the theological controversies that had been raised by the teachings of the influential theologian Jakob Hermanszoon, best known by his Latinized name, Jacobus Arminius. Beginning in 1603, Arminius argued against several specific doctrines in the Belgic Confession. Though he had studied under Theodore Beza, during his years of ministry as a pastor in Amsterdam and as a professor at Leiden, he had gradually developed strong semi-Pelagian views of grace, God’s sovereignty, and free will, views that were clearly inconsistent with the Reformed tradition of Calvin and Beza. Arminius died in 1609. Nevertheless, his followers continued to teach his views, calling themselves “Arminians.” And in 1610, they attempted to specify all their concerns with Calvinism, publishing a five point Remonstrance. 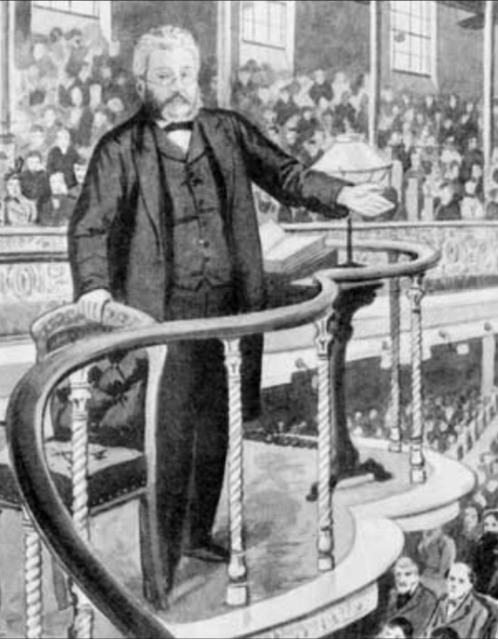 They argued that man’s sinfulness is not so comprehensive that it deadens him to the convictions of faith; that divine decree of predestination is only conditional, not absolute; that the atonement is intended to be universal; that though the grace of God is a necessary catalyst to genuine faith, it does not act irresistibly in man; and that believers are always vulnerable to the danger of falling away from a state of grace. Essentially, they argued for the autonomous responsibility of man, pre-ordination through the foreknowledge of faith, and the universal sufficiency of Christ’s sacrifice. As you can imagine, such teachings created quite a stir in the Dutch church and beyond. The Dordrecht National Synod was called to resolve the conflict. And the resolution came in a series of five responses, or canons. The canons were not intended to be a comprehensive explanation of Reformed dogmatics, but only an answer to those five disputed points of the Arminian Remonstrance. Nevertheless, the document that the Synod delegates drew up was so succinct, straightforward, and substantive, it quickly became a standard text for a clear exposition of the doctrines of grace. In short order, it was linked together with the Heidelberg Catechism and the Belgic Confession as the Three Forms of Unity. 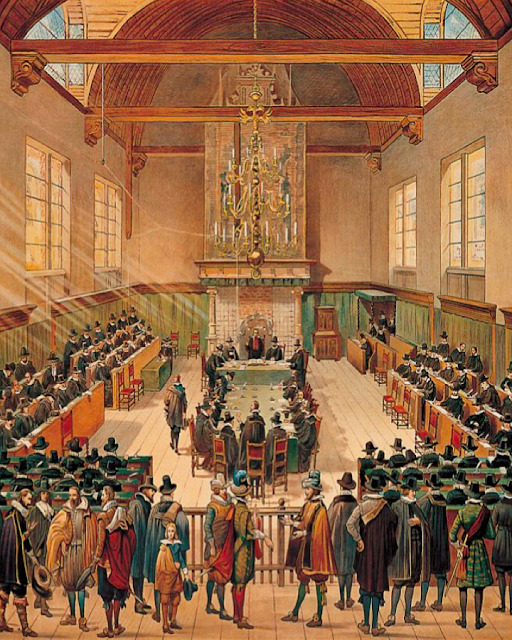 What was intended to be a technical judicial response to a very specific case became a cornerstone for the building of the Reformed world and life view in the Netherlands and beyond.